At the start of the month, Raf Simons took a trip downtown from Calvin Klein HQ to present his SS18 collection in NYC’s Chinatown. With the show taking place in the muggy alleyways under the Brooklyn Bridge, it all felt very Blade Runner – helped along by the neon lights casting a glow on the wet streets, and the hanging lanterns designed by Peter Saville. 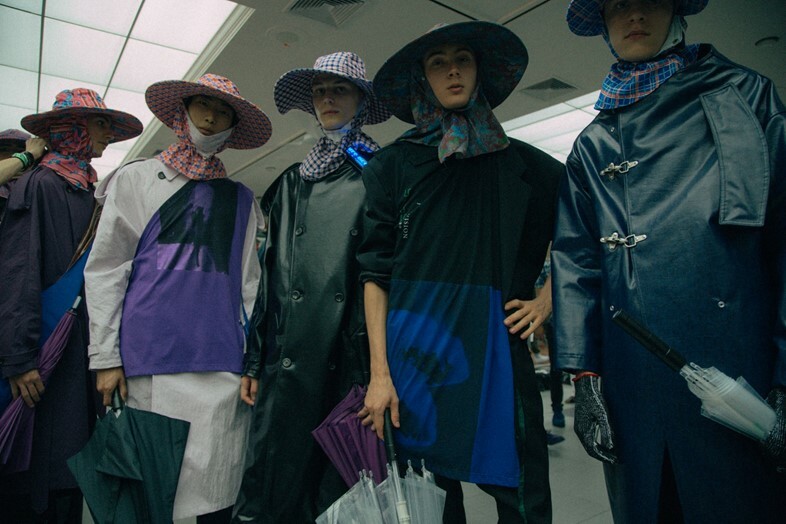 As for the clothes, models took to the runway in shiny waterproofs, face-obscuring hat-scarf combos, and futuristic LED badges flashing out phrases like I STILL GET A THRILL. One final detail? They were carrying umbrellas, some of them tattered and falling to pieces as if torn by the wind. Bureau Betak – the legendary production company behind every must-see show and set from Raf’s Calvin Klein debut to those Dior hot air balloons – were called in to creatively coordinate the evening. To document proceedings, they tapped a group of undisclosed young directors to work as part of their Bureau Future studio, shooting the show. Watch the full film below, and head to @dazedfashion for a director’s cut.